Science Project _ Regeneration in sponges, Paramecia, Planaria, etc. Regeneration in sponges, Paramecia, Planaria, etc. 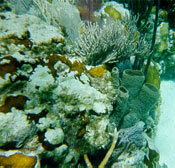 Certain invertebrate aquatic animals are able to regenerate their missing parts. This regeneration ability in some animals is so strong that if you cut the animal in half, each half will grow to a complete animal. The body half regenerates a new head and the head half regenerates a new body. This unusual ability is also a method of asexual reproduction for such animals. Regeneration abilities vary among these animals; however, they are all subject of attention by scientists who are trying to identify the genes responsible for such regeneration. In this project you will perform experiments to observe the regeneration ability of these animals. You may either select sponges or planarians for your experiments because these two are visible to the naked eye and you do not have to use a microscope and complex tools for your observations. You may also try to study the effects of one environmental factor such as temperature or pH on the rate of regeneration. While gathering information about this project, you may also learn about unusual properties of paramecia related to regeneration, but you will not perform any experiments with them. More details or support for this project is available for the members of ScienceProject.com web site. Material needed for experiments may be purchased locally or from online suppliers of science materials.